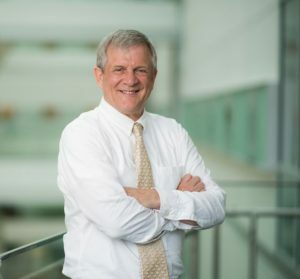 Taubman Institute Director Charles F. Burant, MD, PhD, is Michigan Medicine’s Robert C. and Veronica Atkins Professor of Metabolism endowed chair, and professor of internal medicine in the department of Metabolism, Endocrinology, and Diabetes. He also is a professor of Molecular and Integrative Physiology in the U-M Medical School, as well as in the U-M Schools of Public Health and Kinesiology. Dr. Burant developed and is director of the Michigan Metabolomics and Obesity Center, which provides infrastructure and expertise for researchers across the country to perform basic and clinical research in metabolism, obesity and diabetes. His personal research program studies how individual differences in metabolism affect longevity and risk for metabolic diseases, spanning the range from basic to translational to clinical research. Grace Wu, MS, was appointed Managing Director of the Taubman Institute in August, 2017. She holds a BA from the University of Michigan and a master’s degree in Organizational Leadership and Administration from Concordia University. 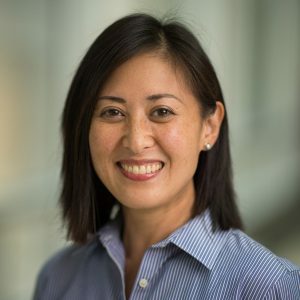 Since joining the University of Michigan, Ms. Wu has held positions in administration, grants management and organizational management at the A. Alfred Taubman College of Architecture and Urban Planning, and at Michigan Medicine. Most recently, she served as administrator for the Metabolomics and Obesity Center, organizing the activities of the MMOC as well as the NIH grants within the MMOC umbrella, the Regional Metabolomics Resource Core, the Nutrition Obesity Research Center, the Children’s Health Exposure Analysis Resource and Molecular Transducers of Physical Activity. Melissa Preddy joined the Taubman Institute in 2011 as Communications Director, overseeing internal and external writing, editing, videography, digital channels and development communications for the institute. A veteran editor and writer, she has worked as a reporter, columnist and editor, with work appearing in such diverse publications and digital channels. She has authored and presented training materials to other journalists via seminars and webinars nationwide. She holds a BA and MA in Journalism from the University of Michigan, and was selected as a Knight-Wallace Fellow in Journalism, Class of ’05. Glen Walker is the Administrative Specialist for the Taubman Institute, handling accounts payable, accounts receivable, scheduling, logistics, event planning and graphic design.